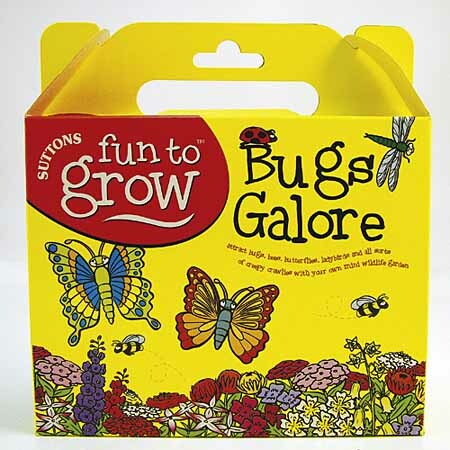 Grow these colourful characters in your garden. 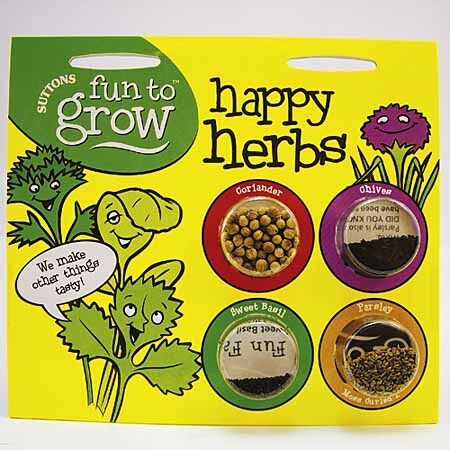 Pack containing Sweet Basil, Chives, Coriander and Parsley that are great to grow and so useful in the kitchen. 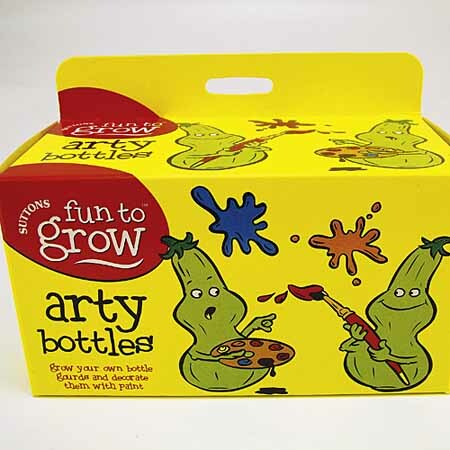 This colourful collection with their cartoon characters displays the seed in transparent plastic blisters or capsules. 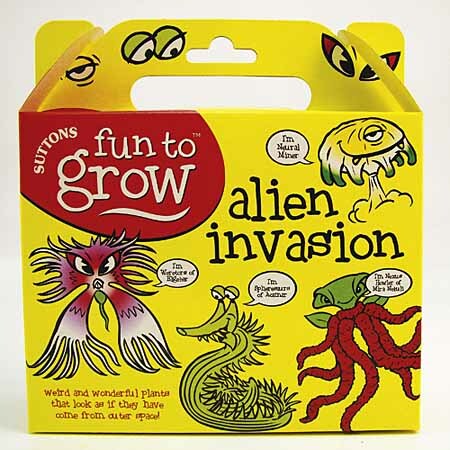 Once again, there's an attractive mix of entertainment and education with Fun Facts on every pack. 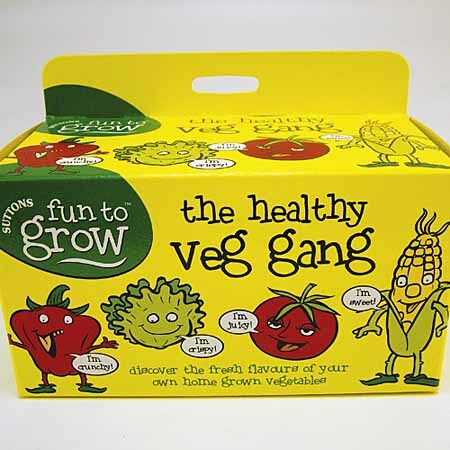 Pack contains Carrot, Lettuce, Sweet Corn & Tomato. 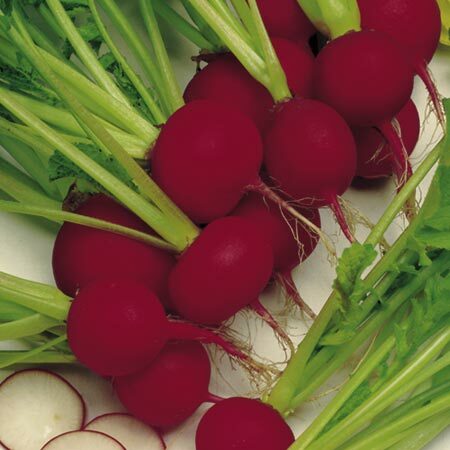 Colourful veg that is fun to grow and perfect for healthy eating. 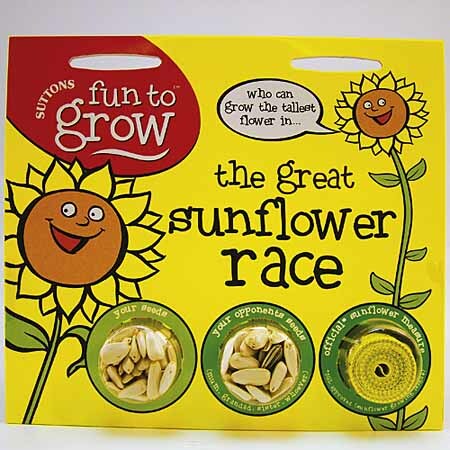 Who will grow the tallest sunflower? This three blister pack contains two pockets of sunflower seeds and the third holds a tape measure. 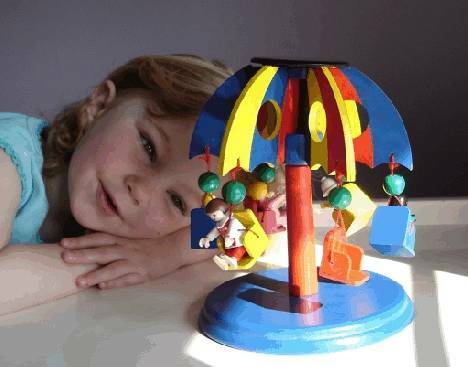 Complete with Fun Facts combining entertainment and education and a measuring record chart so that you can track your progress. 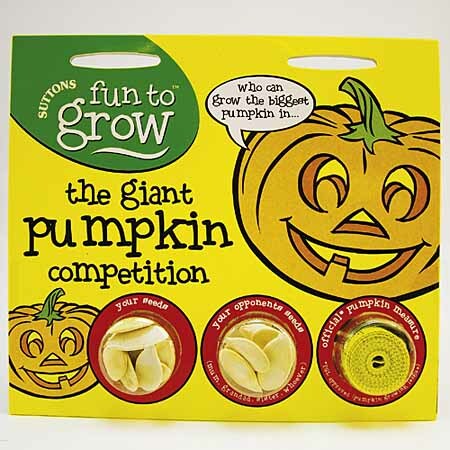 Fun to Grow - Giant Pumpkin! Who can grow the fattest pumpkin? 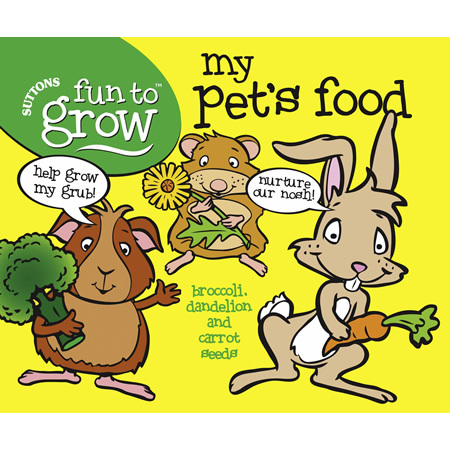 Pack contains seed of: broccoli - sow April-May, dandelion - sow April-May and carrot - sow March-July. Look inside pack for the pets fun facts & wordsearch. 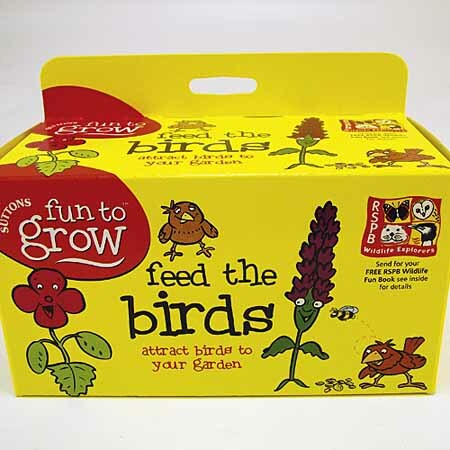 All you need to help care for your plants as they grow up! 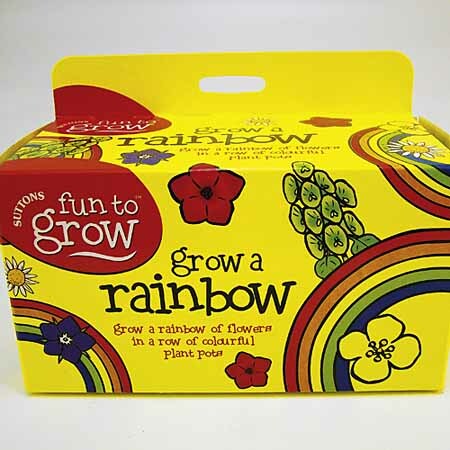 Ideal for children who want to grow on their seedlings this 'continuation' pack contains five different coloured pots plus compost blocks, plastic labels and a marker pencil. 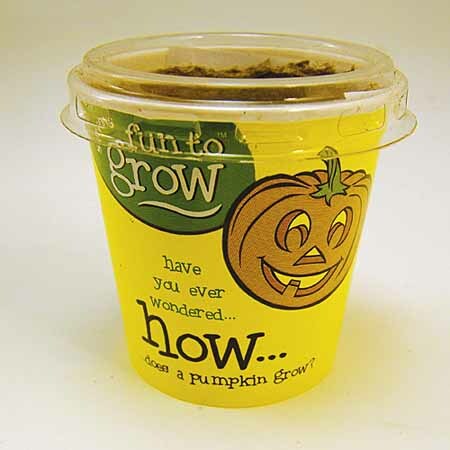 Have you ever wondered how a pumpkin grows? 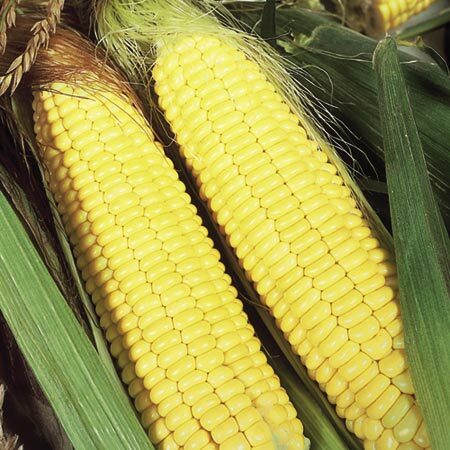 - Everything you need to get growing in just one small pot! 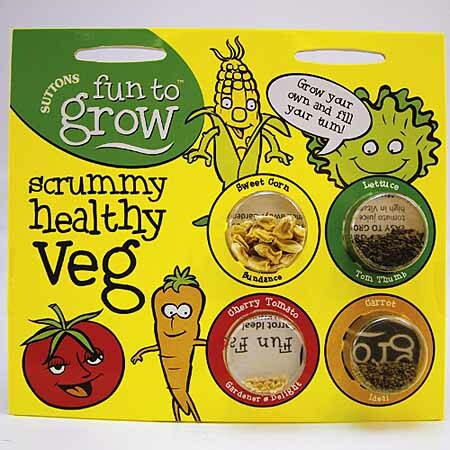 Pot contains a peat pot, 'magic' compost block, seed and fun facts sheet. 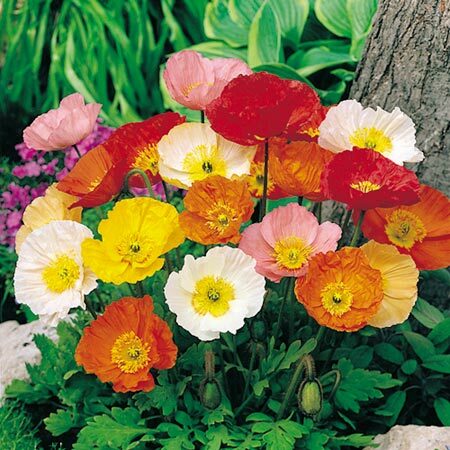 Ideal for starting on the windowsill. 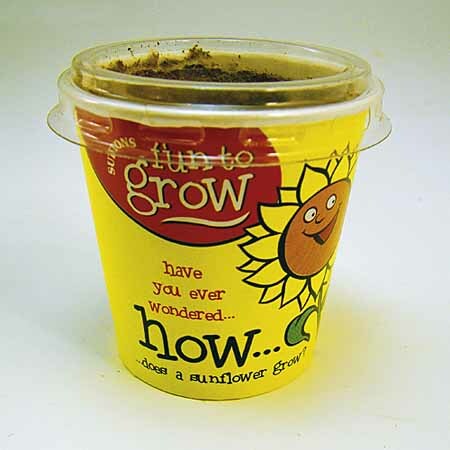 Have you ever wondered how a sunflower grows? 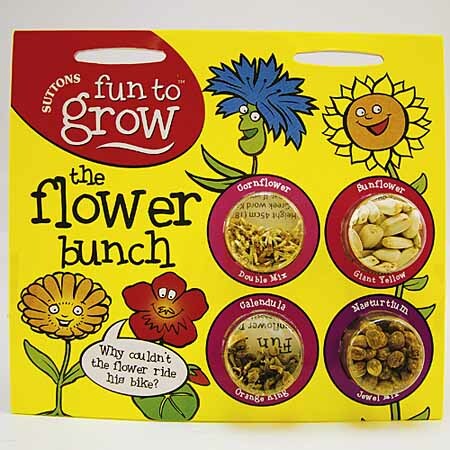 Everything you need to get the kids growing in just one small pot! 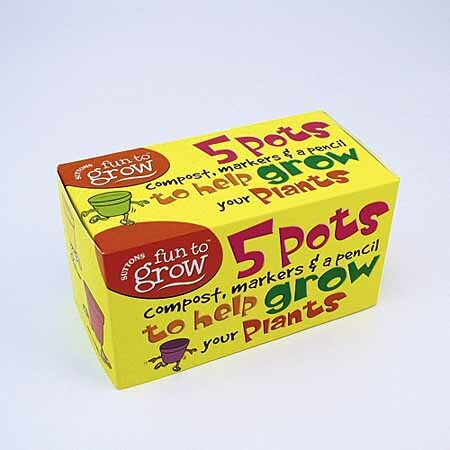 Pot contains a peat pot, 'magic' compost black, seed and fun facts sheet. Ideal for starting on the windowsill. 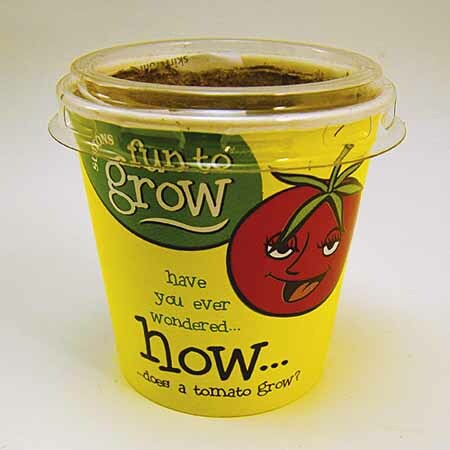 Have you ever wondered how a tomato grows? 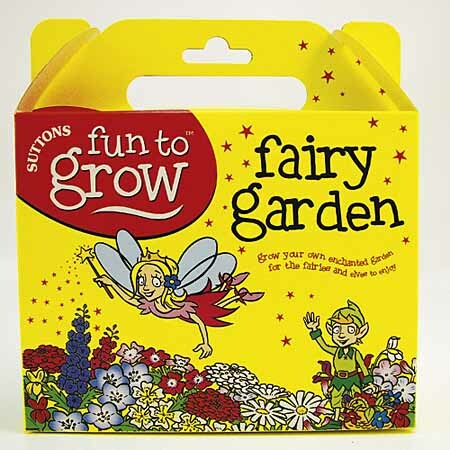 Everything you need to get the kids growing in just one small pot! Pot contains a peat pot, 'magic' compost black, Tomato Gardener's Delight seed and fun facts sheet. Ideal for starting on the windowsill.